Bengaluru: The H.D. Kumaraswamy-led coalition government between the JD(S) and the Congress in Karnataka completed 100 days in office yesterday, a period marked by a focus on the yet-to-be-implemented farm loan waiver and keeping a lid on dissidence in the rank and file. 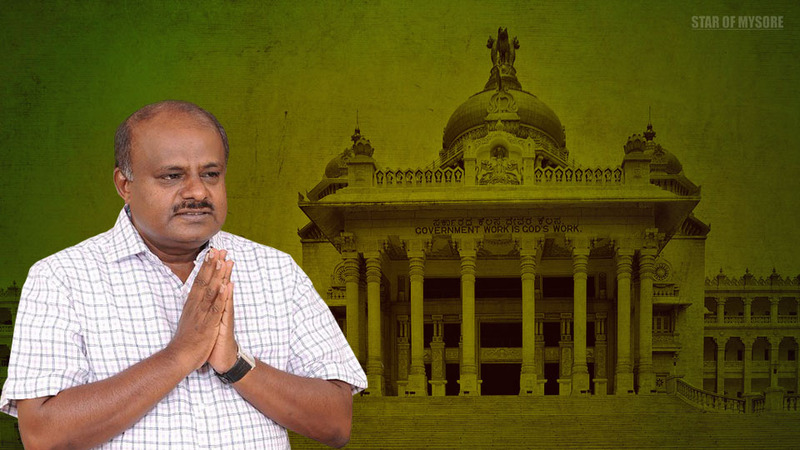 Kumaraswamy took oath as the CM on May 24, 2018. However, despite Kumaraswamy’s claims that everything is fine in his government, the two alliance partners have been bickering over several issues, including the transfer of government officials. He also urged Rahul Gandhi to take an early decision on Cabinet expansion of the coalition government. “In the meeting, I have requested Rahul to take an early decision on expansion of the Cabinet and appointment of Corporations and Boards Chairmen,” Kumaraswamy said. Eleven JD(S) Ministers (including CM) are now in place along with 16 Congress Ministers (including Deputy CM). There are posts which are still vacant as up to 34 Ministers can be accommodated in the Cabinet of this coalition government. “The coalition government is secure under the leadership of Siddharamaiah. Siddharamaiah is necessary for the coalition government to run safely. We will function under his guidance,” Kumaraswamy said. Already, Siddharamaiah has given clarification that he would become the CM if people desire in the next election, the CM said. The CM further said that the government was successful in taking officers into confidence. They have to work considering the wavelength of the coalition government, he added. Already, the government has announced farm loan waiver.